in 1961 I was born in the Jericho Hospital in Ibadan, Nigeria. My father was principal of a Trade Centre where 3000 young men and women learnt skills that would help them in future careers, a bit like Technical Colleges in the UK before they all became Universities. When I was six the family moved back to the UK but I never forgot the country of my birth and followed the often turbulent news from Nigeria with more than just a passing interest. 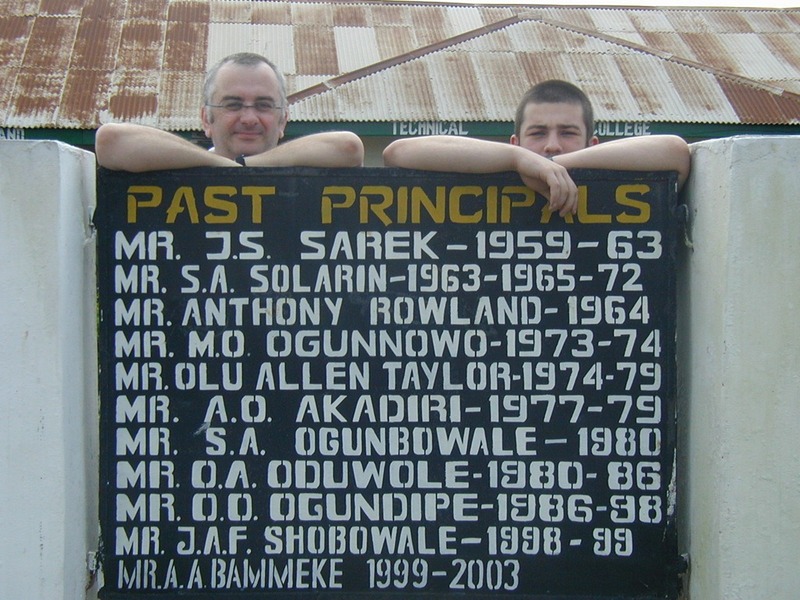 When my son James was sixteen, unbeknown to me he contacted the Nigerian Rugby Union to ask if he could play for them sometime in the future. The reply came that Nigeria had an U18 team that would be competing in the U19 Rugby World Cup qualifiers later that year in Ivory Coast, and James was welcome to come and try out for the squad. To cut a long story short I was asked to coach the U18 team before and during the tournament so James and I prepared to fly to Lagos in June 2004. A few days before we were due to leave civil war broke out in Ivory Coast and the IRB cancelled the tournament, but we decided to travel regardless and see what we could do to promote the game in Nigeria. What followed was a fortnight of TV, radio and newspaper interviews, coaching sessions at schools and rugby clubs, including a session at the National Stadium with 300 children and a dozen rugby balls! We made many friends on that trip but during the following years Nigerian Rugby has gone through a period of turmoil with the IRB even banning the National team from playing for a period of time. I returned in 2012 to see how things had changed and was dismayed that the the development of Rugby was being disrupted by the politics of who should be running the game. I went again in 2013 at the invitation of the Nigerian Olympic Committee to try to broker some sort of deal that would allow the opposing factions to work together, but I regret to say that nothing changed. I visited again in 2015 to attend a fundraising dinner for iTry Rugby when I brought along former England International and Rugby World Cup Sevens winner Damian Hopley. 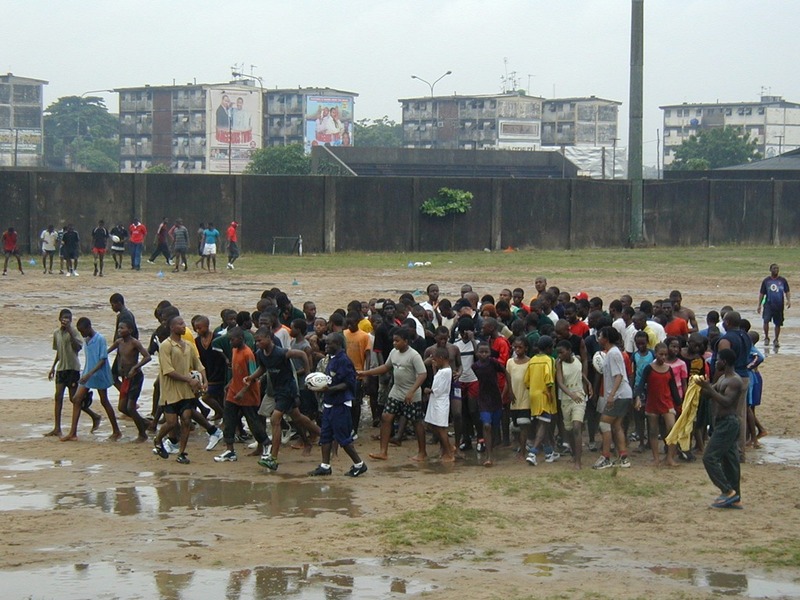 Nigeria is Africa’s most populous country with around 163,000,000 people, and the potential for becoming a rugby force is immense, particularly in Sevens. International players of Nigerian descent include Victor Ubogu, Andy Harriman, Chris Oti, Topsy Ojo, Martin Offiah, Steve Ojomo and Ayoola Erinle. 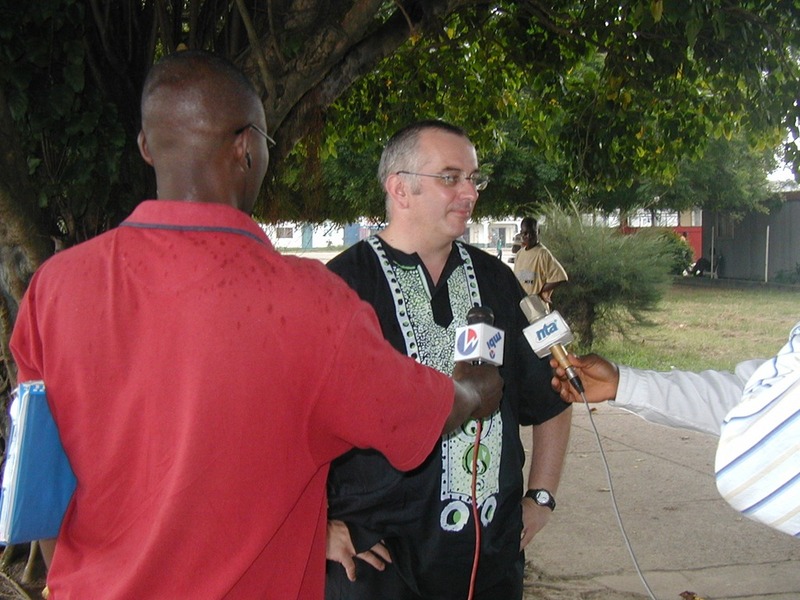 However, to secure the future of the game Nigerian-based players must be encouraged into Rugby and developed. 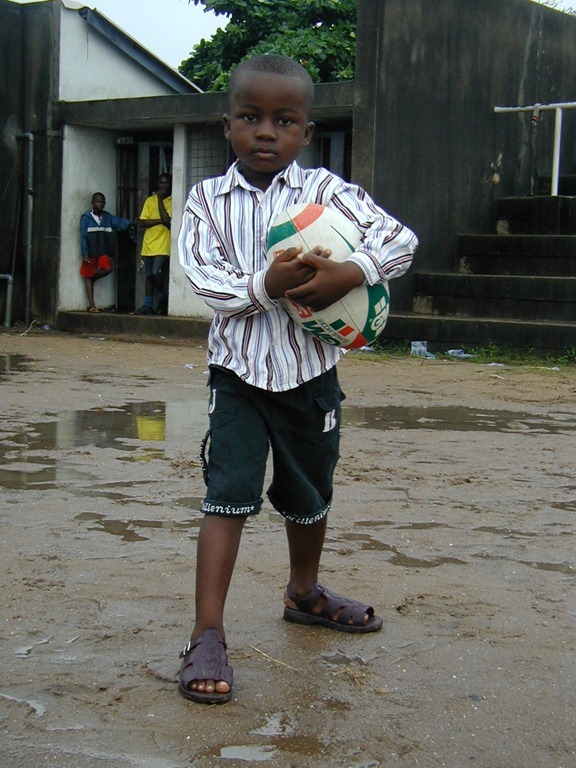 The problem of access to shirts to train and play in and enough balls and training equipment is a barrier to those at the bottom of the social scale which make up the vast majority of the population. If you are able to donate anything that can help them experience the game we all love and participate in, it will make a difference. For my part I am committed to returning whenever possible to see if I can help grow Rugby in the land of my birth. Hi Wilson. Thank you very much for your kind comments; you are very welcome to share the story as you think fit.